I'm new around here, but I'm also active at the RPF under the same username. I've had a few people buy these in the last month or two but figured it was time for an official thread. 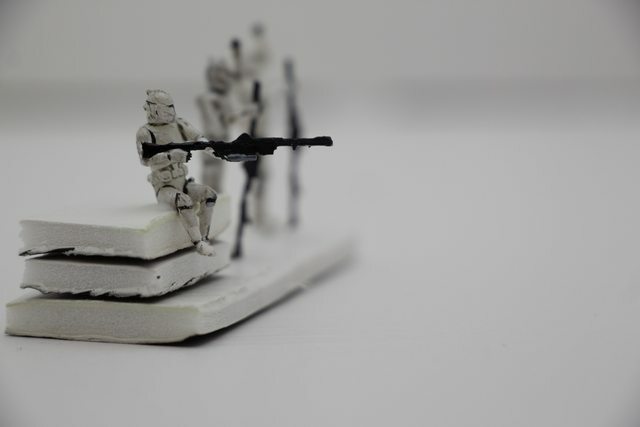 These are 3D printed (DLP) 1/72 Clone Trooper figures, meant for the Revell Republic Gunship or any other Clone Wars diorama. I currently have 6 poses completed, with some more "battle" poses planned. If you're looking for something specific, let me know and I'll get you taken care of! 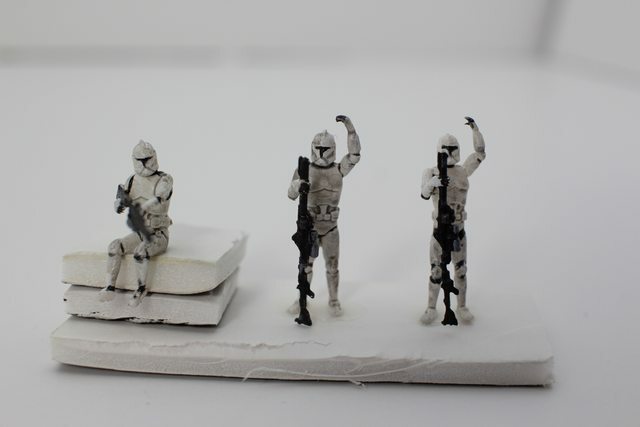 The figures will come with small "zits" from the printing supports that you'll have to remove. I QC check each figure to make sure the major features come out right, but you may see small variances within a set. 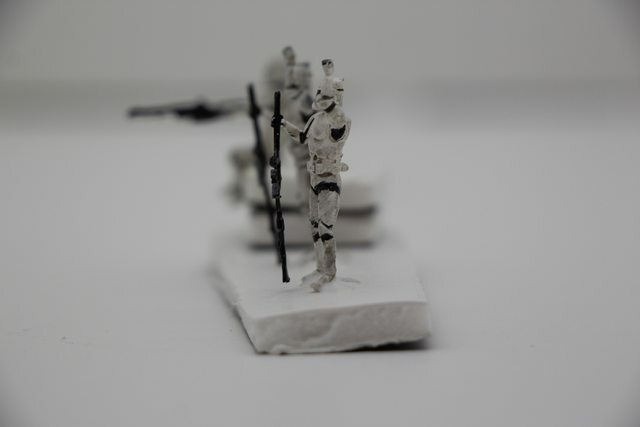 You'll notice some of the details are inverted, this allows them to come out better at the 1/72 scale. This can be modified if you want! You can add/remove/substitute to get what you need, just shoot me a PM with the details. No payment is taken until they're ready to ship. I have a few standard sets ready to go right now, PM me if you're interested! The model was made by emad_nabil_27 on Fiverr and posed by me. The helmet is from Thingiverse. blakeh1 has been a great help throughout the development process, check his WIP thread to see some of these in action! Wow! These are really nice. Excellent work!